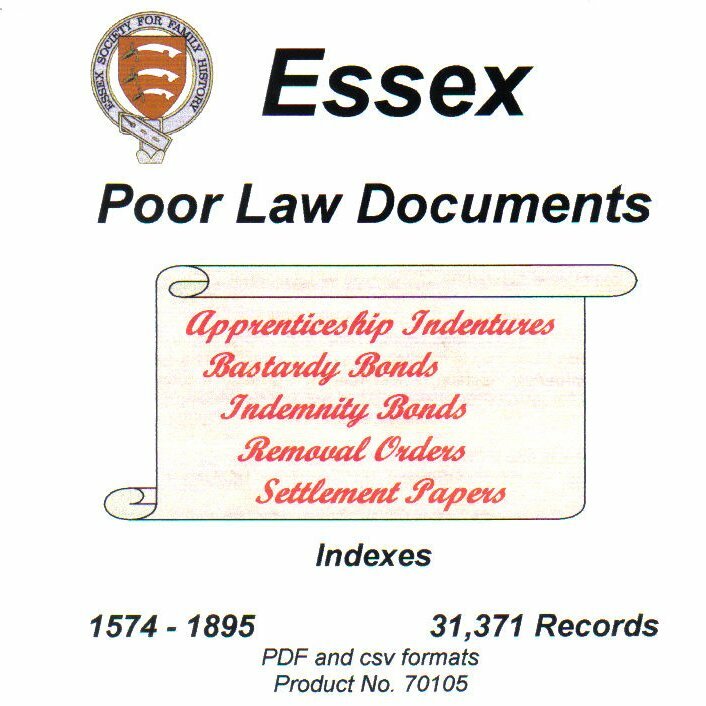 Essex Poor Law Documents, Indexes and Transcripts, 1574-1895. Essex has over 400 ancient parishes, many of which have surviving settlement papers among their parish records. These include Settlement Certificates, Removal Orders, Settlement Examinations, Records of Apprenticeship and Bastardy Examinations. Many thousands of such records survive in the Essex Record Office. This CD has a full index of some 40,000 names and replaces the original production on microfiche together with some additional Poor Law Records which have recently been discovered.